LightFab GmbH is a new technology company in the field of laser technology. We developed the basis of our technologies at the chair of laser technology of RWTH Aachen University located in the Fraunhofer Institute for Laser Technology ILT in Aachen, Germany and started LightFab in 2013. We produce micro structured glass components as well as the micro scanner to fabricate the components by laser light - the "LightFab". The founders (Dipl.-Phys. Martin Hermans, Dipl. Ing. Jürgen Ortmann and Dr. rer.nat. Jens Gottmann) have expert knowledge with the SLE-process, the development and the operation of the micro scanners and outstanding experience in software development to control scanner and laser systems. Those are the basis for our innovative products. Our mission is to enable the machining of transparent materials with high power ultrafast lasers for diversified applications. LightFab - the 3D fabrication by laser light. 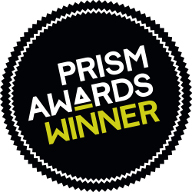 We are happy that our LightFab 3D Printer is the winner of the Prism Award 2016 in the category industrial lasers. 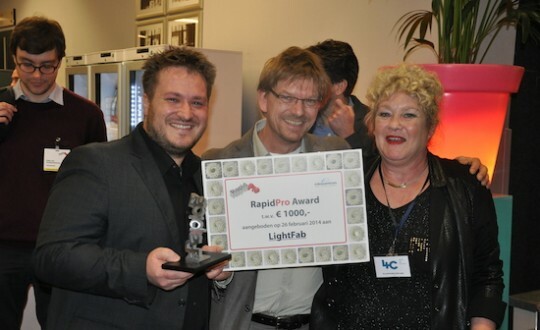 During the recent RapidPro 2014 event in Veldhoven, The Netherlands, LightFab was honored for the special technology to produce 3D components in glass. The jury appreciated LightFab’s innovative Selective Laser-induced Etching technology, the CAM-software to print 3D CAD data in glass and the systems to produce prototypes as well as the potential for mass production with our high speed scanner. We hereby thank all visitors for their interest in our products and services, exciting conversations and we are grateful for the warm support from the RapidPro team from Mikrocentrum. Read also this article from Made-in-Europe.nu (dutch).